Yes, I am still working on my Word Press site…I went back to the original Frog Hollow Farm girl Blogger site and to tell you the truth wasn’t totally impressed….but I do still think that for me, Blogger is easier to use and that means it’s more fun to blog with. 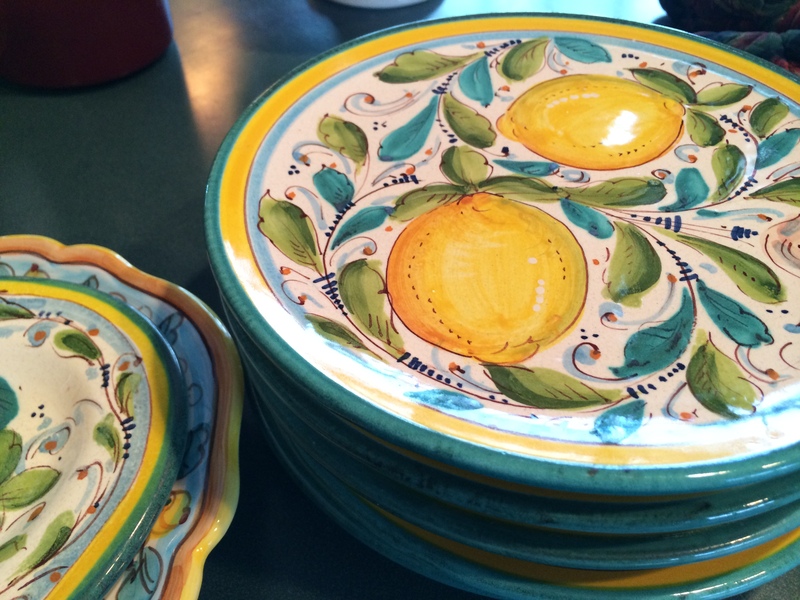 Do you change your dishes from season to season??? I do, and I think that a lot of people do based on the number of blogs I have come across that display beautiful photos of seasonal tablescapes. 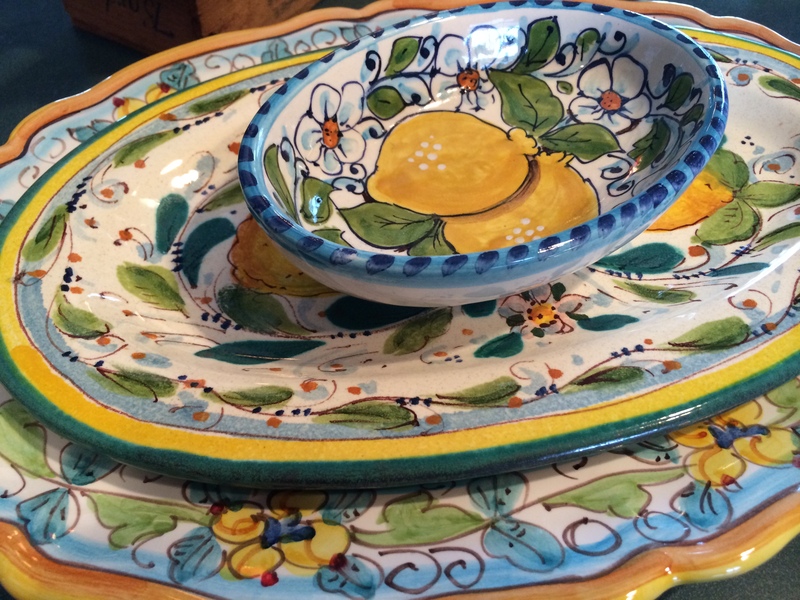 For many, the changes occur with the accessories incorporated around simple white dishes, which is probably the way to go….but I am in love with dishes, especially Italian and French pottery (mostly Italian). Do I need to prove this to you? We have an old house with an old basement that was remodeled into several office spaces for my husband when he began his business many years ago. Now that he has moved his business out of our home, one part of this space has become the ‘Dish Room’. 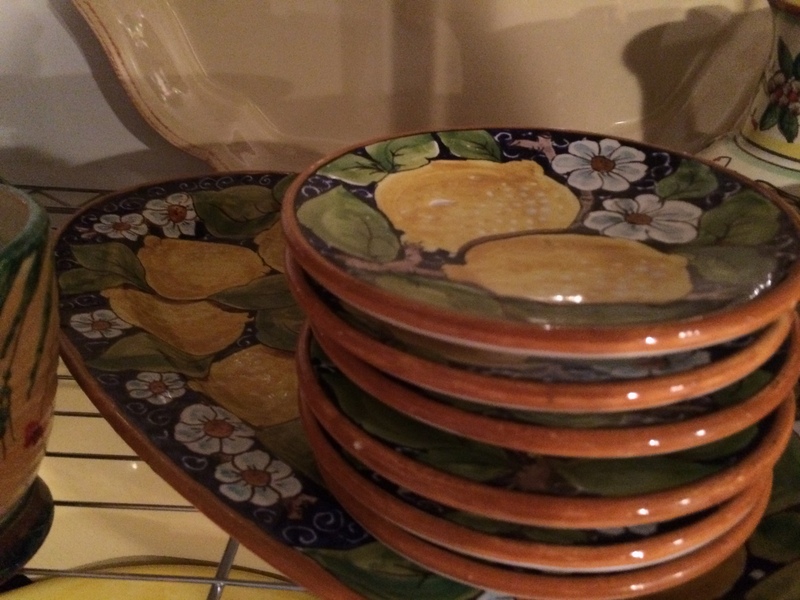 This is where I store all of my seasonal dishes, plates, saucers, mugs, bowls, trays, platters and pitchers. For the most part they are organized by season, darker browns, oranges, greens for the fall; bright reds and yellows for summer, blue, white and green for winter and lighter turquoise, lemon yellow and white for spring. 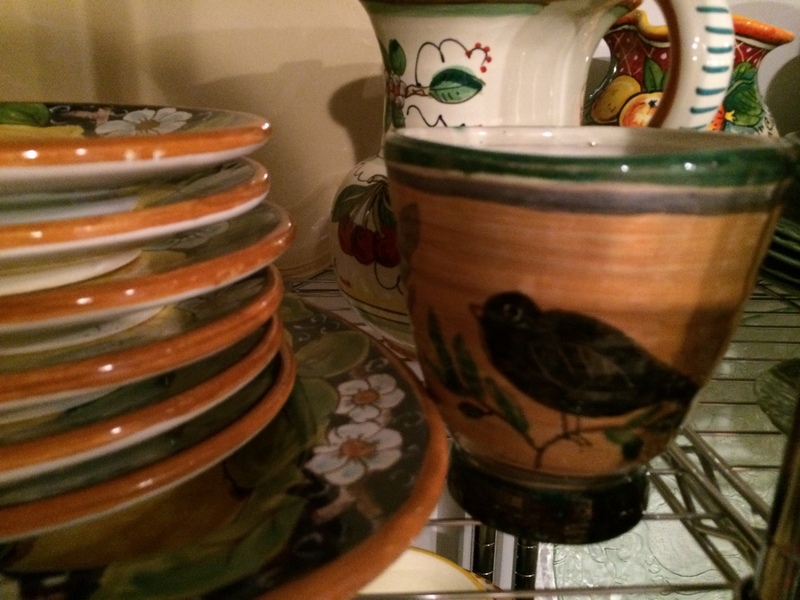 Our Christmas dishes include the old Spode Christmas Tree pattern, along with several antique sets of transferware dishes with red, green and cream coloring. 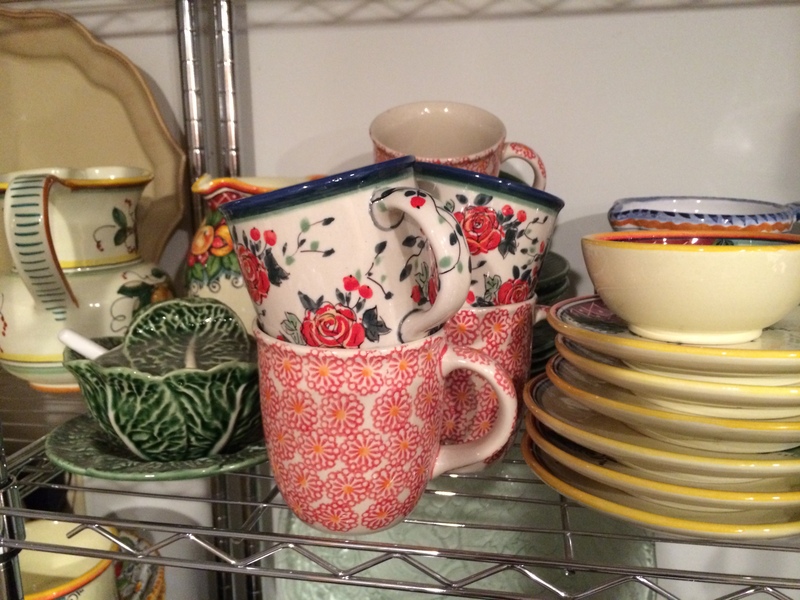 Here are some of the dish room shelves for you to see…. 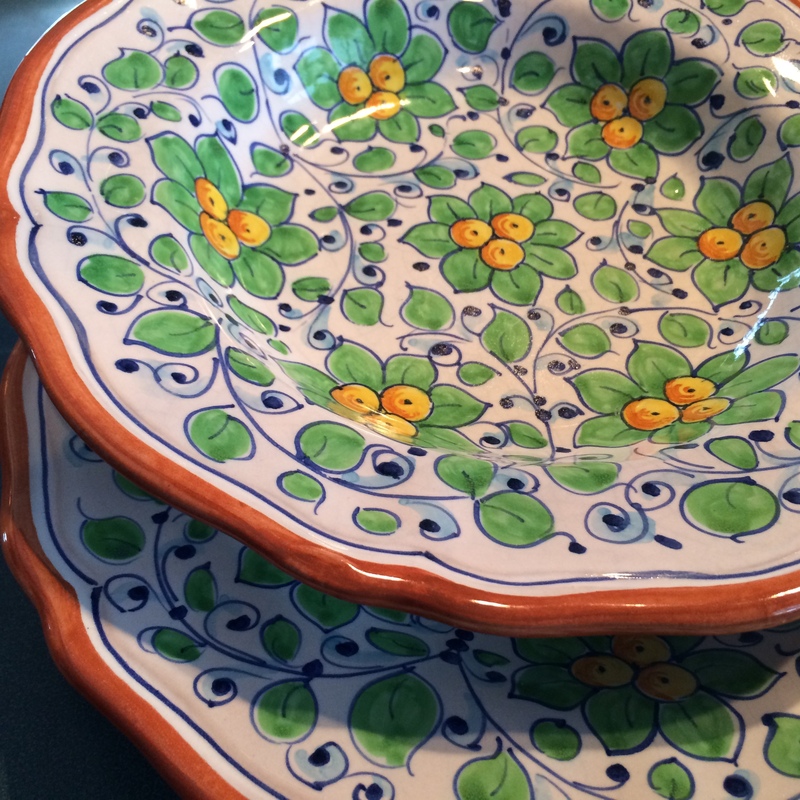 Below are a few photos of my ‘spring dishes’ and ‘summer dishes’, purchased over the years from Silvia and Maurizio in Florence, Italy. I am going to try an experiment and post this same content on Blogger to see which I prefer. This entry was posted in Uncategorized and tagged seasonal dishes, summer dishes. Bookmark the permalink. Donna, thanks for stopping by and reading my rambling on about dishes! Karen, I just tried working on my Blogger layout from my ipad, just for fun, but it looks awful now. The sizes of my sidebar items look like they are switched with the content of my post. I’m heading up to my laptop later to see what happened!